We went to visit the former Navy Underground Headquarters. It's a series of underground tunnels and caves that the Japanese Navy used as their final headquarters during the Battle of Okinawa in World War II. It's a pretty depressing place, but definitely worth visiting to get a better sense of what the soldiers went through during the war. 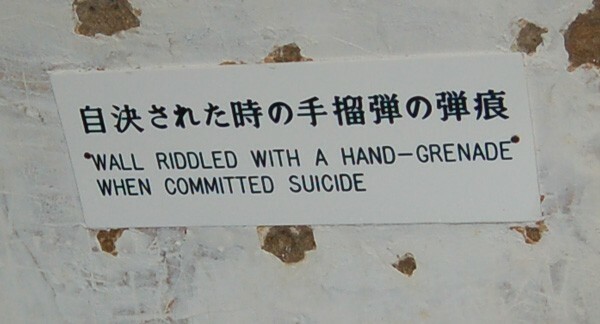 When it became apparant to the Japanese soldiers that they were not going to win the battle, many of them resorted to mass suicide rather than face capture. Some of the cave walls still bear the marks from the hand-grenade explosions. Until I started karate and heard my sensei talk about the Battle of Okinawa and its affect on the Okinawan people, I had never even heard of it. Most historians agree it was the bloodiest of all the battles of WWII, yet most Americans arren't even familiar with it. The most shocking thing about this battle for me was to learn that more Okinawan civilians were killed than Japanese or Allied forces (over 150,000 civilians were killed!). 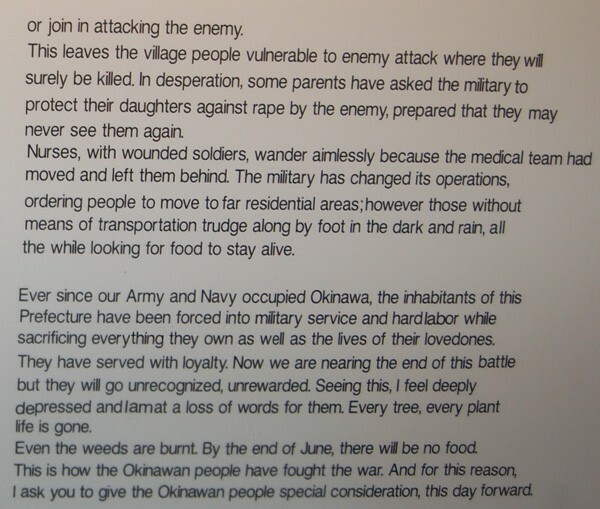 The Okinawan people were caught in the middle of an awful conflict. 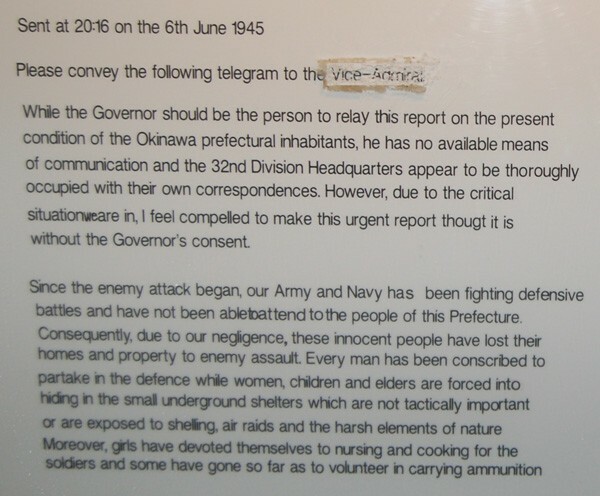 Below is the text of the final telegram sent by the Japanese Naval officer expressing his concern for the affect the war had on the Okinawan people.